If you had asked me at the start of the year if I was going to start fencing again, it would have been a firm “NO.” There was no motivation to start again and no one was really asking to do so. And all the focus that I had with fencing went into my work, which paid off big. Irony, the only people who ever asked about me starting up again were my co-workers at CDG. Well, after two years, I decided to try fencing again. It has been the only sport that I have some liking to. Not to mention, the least likely to get bored at. Another bit of irony is that I restarted with Olde Town Fencing, the club I left almost four years ago. Despite that, the warming response made the comeback easier. Definitely a reminder of why I fence in the first place. Despite dealing with various injuries the last month, I am determined to continue my progress and actually compete again after a 2+ year absence. Basically, stops and starts. At one point, it was dead in the water. At one point, I almost considered ending the project. However, I caught a break (and some motivation from Tame Impala’s InnerSpeaker album) and did the complete site mockups. Started to work on the HTML templates but delayed due to technical review from the last two conferences I went to. Both made me think about what I was doing and in the end, the decision to make some more substantial changes in my work. Restarting work on templates in early 2011 and hopefully finishing the new site by The Wilson Project’s 10th anniversary in April. Lots of work, punctuated with four blog entries and some other minor additions to the blog. However, lots of reflection on my work process, especially considering many of the changes that affected my position as a UI/Front-end developer. In the end, I remember about ten years ago that I started what would become a 20-month unemployment period. Now, at the end of 2010, thing have changed so much. A number of things that I first experimented with such as XHTML and building pages without table layouts are now not only accepted; they have become the gold standard. Now, with Project Charles heading for the finish line (?) in April 2011, more changes are in the pipeline for the next couple of years. Hopefully, 2011 will be a good one, not only for me, but for my family, friends, and especially my co-workers at CDG. Happy New Year 2011 from Vancouver, Canada! 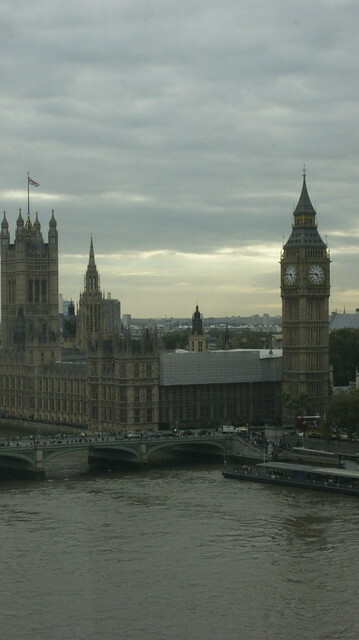 Just re-entered the country, after a week in London for the last FOWA (Future of Web Apps) conference for 2010. Take a while to settle down (not to mention get back to a regular sleep schedule). Spending a week going through all the notes and ideas from the conference. However, all this information will be slowly integrated for the remainder of this year. I was able to get some sightseeing, as well as going to The National Theatre (Hamlet) and a concert (BBC Symphony @ Barbican). Now, going home to DC to a stack full of work at CDG.